2 Bedroom Semi Detached House For Sale in Leicester for Offers Over £155,000. This very well presented property occupies a larger than average plot in a popular location. 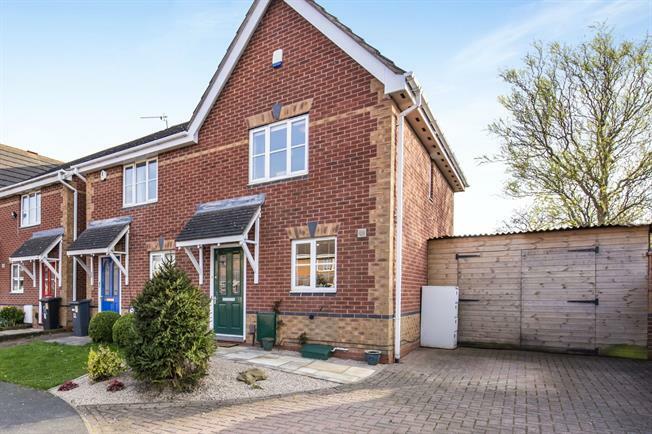 The property showcases a fabulous landscaped rear garden and boasts a timber framed garage to the side which adds significant appeal. Internally the modern living space presents a well appointed kitchen and bathroom and two double bedrooms. Other features include driveway parking, gas central heating, double glazing, appealing decoration, electric feature fire and built in storage. Viewing advised.